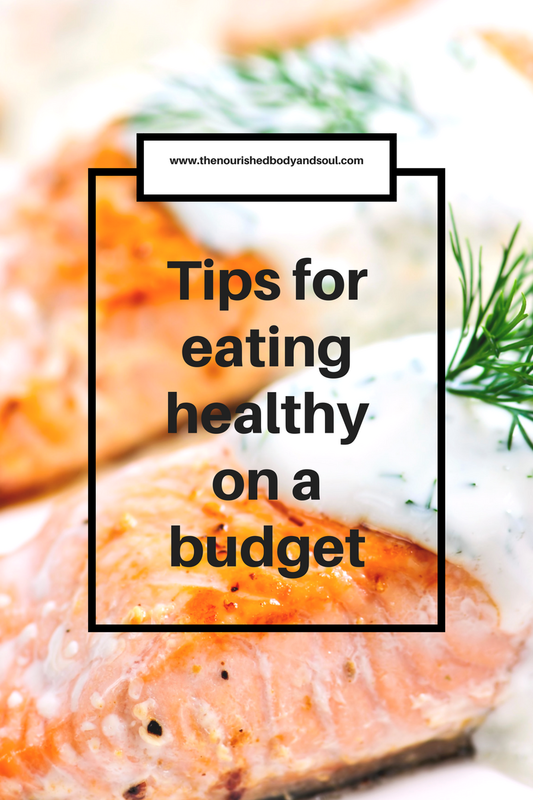 Eating whole foods can seem to be more expensive than eating processed, boxed & pre-made items, however with a little planning, eating healthy on a budget is definitely do-able. And whether you have a small or large grocery budget, good stewardship is vital to any budget. We should be concerned and careful about what we spend simply to honor what God has entrusted us with. I thought I would give you a list of my favorite ways to save money on some of the more expensive items that are essential to my family’s healthy eating plan. I hope these tips below will help you in your quest for whole food based nourishment! 1. Buy in bulk – stop walking by those big clear bins at the store! Take advantage of the savings they offer on a regular basis, much less when they are running a sale on certain items. 2. Join a warehouse store or online discount market – these places offer amazing deals on many organic and paleo staple dry goods. These stores offer organic meats, fruits, veggies, nuts and dried fruit can all be found at huge discounts. You just have to do a little extra work to divide & store them but the savings is worth the effort! 3. Buy local – find a farmer or a farmers market and take advantage of the savings. The price of good quality eggs in the grocery store is about $2 more per dozen than what you can generally find at a farmers market. Most items sold at farmers markets are sold at a good price because those people live on a budget too and they respect that you are spending your hard earned money on their crops. 4. Buy in season – this one should be obvious, but buying fruits and veggies in season will lend to huge discounts. It’s basic economics that when the crops are large and easy to come by the stores will sell them for less. 5. Grow it yourself – this is the one I love! Though I am not extremely gifted in the area of growing a lot, I do love to grow my own herbs which is one the most expensive items in the produce section. One of the biggest joys of my life is cutting herbs from my own garden to feed my family, but you can do more than that. I love the Earth Box because it is an easy way to grow organic herbs & food & spells out exactly what you need to do to be successful in the process. 6. Make it yourself – paleo snack foods like beef jerky and snack bars are expensive. These items can be made at home for a fraction of the cost. For the price of 2 pre-packaged organic beef jerky packs, I can make enough to last for 5 snacks. Plus making it yourself ensures the quality of the ingredients going into the snack. 7. Look at grocery adds & compare prices – this one also takes a little work, but is worth the effort. If I know a store in my area has a staple item on sale, I will not be foolish enough to buy it at the regular retail price somewhere else. Yes, it does sometimes mean you have to go to more than one store, but stewardship is not for the lazy of heart. 8. Join a grocery discount club – this one is as simple as giving your favorite store your phone number. The local grocery store I shop at keeps track of my spending by way of me entering my phone number at the checkout counter and then they send me coupons based on what I buy. I frequently receive coupons for $4 off of a $10 purchase in the produce department. That is huge! Who could turn down a 40% off sale? 9. Plan, plan, plan and then be flexible – make up a menu for a month at a time, that way you know what you are going to be needing and then can look for it when it’s on sale. However, if you are planning on making cauliflower as a side dish, but when you get to the store it is priced outrageously, then don’t buy it. Just refuse. It’s your right. Pick something that is on sale and save the cauliflower for a day when it is on sale or you have a coupon. 10. Buy your meat on sale – this is another biggie. As long as the meat on sale is fresh, you can take it home and freeze it. Often packages of things like ground beef or chicken breasts are on sale in large family size packages. You can take it home and separate it to a quantity that fits your family and freeze it in a way that is easy to pull out when you want to cook it. This is really optimal at big warehouse stores.